Would you like some professional advice selecting the right colour scheme for your home? Do you have difficulty sourcing the correct lighting, window treatments, furniture design and layout? At Knight Design Interiors, we are fully qualified and experienced to assist you with any size project throughout Essex and London, residential or contract. Located within the beautiful and inspiring grounds of Hylands Estate, we hold an extensive designer fabric and wallpaper library which is continually updated with new launches and the latest designs. We offer free wallpaper and fabric samples from our pattern book collection which includes exclusive brands such as Colefax and Fowler, Zoffany, Zimmer & Rohde, Sanderson, GP & J Baker, Mulberry, Designers Guild, Liberty and Brian Yates. 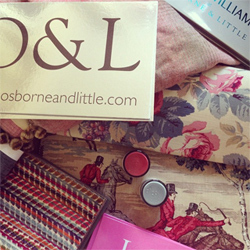 Our complimentary services include the supply of fabric, wallpaper and lighting through to complete home refurbishment. We are experienced with all house styles and are sympathetic to period characteristics. Our portfolio includes traditional, contemporary, classic and eclectic styles and most recently have been able to include art and antique adviser to our repertoire. Your antique finds can be cleverly restored and reupholstered! BOOK AN APPOINTMENT To book an appointment, please pop to our showroom during opening hours, or call us 01245 266000 or email. Complimentary consultations are available at our design studio and your home* hourly rate or design fee may apply thereafter. Travel expenses may apply.